Hell in a Handbag Productions is classic drag and high camp of the highest order. They're a fun favorite of ours here at ChiIL Live Shows and we can't wait to catch their latest, a revival of their 2013 hit L’IMITATION OF LIFE, a dead on parody of the 1959 film Imitation of Life about race, mothers and daughters – and looking fabulous! I'll be ChiILin' with Hell in a Handbag at Chi, IL's Stage 773 for the press opening on April 7th, so check back shortly after for my full review. Hell in a Handbag Productions is pleased to kick off its 2018 Season with a revival of its 2013 hit L’IMITATION OF LIFE, a dead on parody of the 1959 film Imitation of Life about race, mothers and daughters – and looking fabulous! 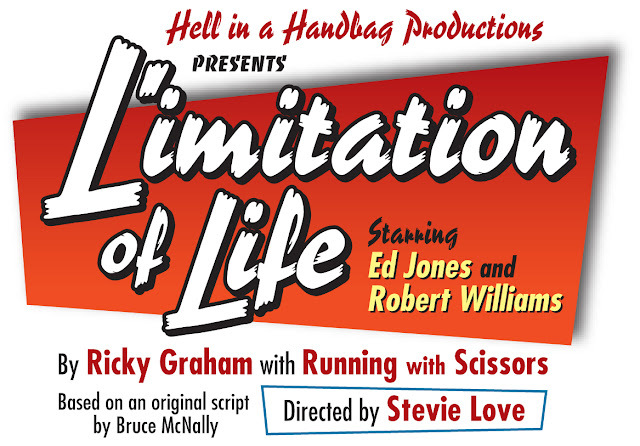 Adapted by Ricky Graham and Running with Scissors and directed by ensemble member Stevie Love*, L’IMITATION OF LIFE will play March 31 – May 6, 2018 at Stage 773, 1225 W. Belmont Ave. in Chicago. Tickets are currently on sale at www.handbagproductions.org (through Stage 773) or by calling (773) 327-5252. The press opening is Saturday, April 7 at 7:30 pm. L’IMITATION OF LIFE features Handbag ensemble member Ed Jones* as Lana Turner with Robert Williams as Annie Johnson, two very different women raising their daughters in a world made for a man. Ensemble member Chazie Bly* plays Steve Martin, Lana’s hunky boy toy. New to Handbag are Katherine Bellantone, playing Suzie Turner and Ashley J. Hicks playing Sara Jane Johnson – the daughter that was “born to be hurt.” Allison Petrillo and Chase Wheaton-Werle round out the cast as various characters. In this hilarious parody of the 1959 film Imitation of Life, Lana Turner is a determined white widow and single mother with aspirations of becoming a Broadway sensation. When Lana meets Annie Johnson, a struggling single African-American mother, the two team up and take on the world as Lana does “whatever it takes” to make it in show business – while Annie takes care of the homestead and raises both daughters. The two women face insurmountable challenges led by their daughters. There's the blonde, perky and “so white it's frightening" Suzie, daughter of Lana Turner, and the raven-haired rebellious light-skinned beauty, Sara Jane, daughter of Annie. Sara Jane learns the hard truth about acceptance and the color of your skin – especially when she tries to “pass” as white. The production team for L’IMITATION OF LIFE includes: Samantha Gribben (scenic design), Garry Nocco (costume design), Rachel Lake (lighting design), Sebby Woldt (sound design), Keith Ryan* (wig design), Sydney Genco* (make-up design), Adrian Hadlock* (props design), Lana Whittington (violence coordinator) and AJ Wright* (production manager). 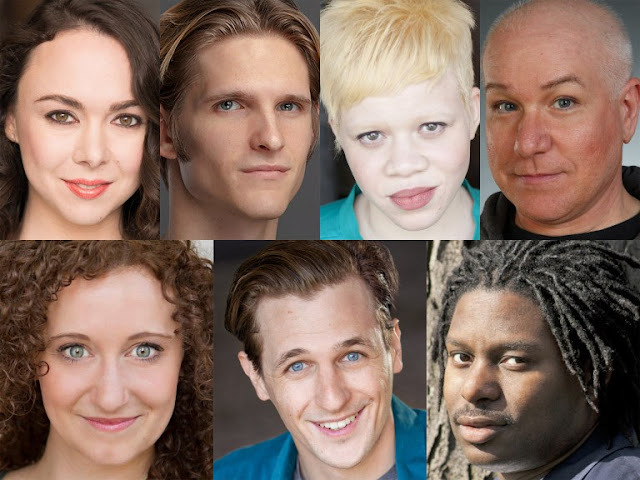 Cast (in alphabetical order): Katherine Bellantone (Suzie Turner), Chazie Bly* (Steve Martin), Ashley J. Hicks (Sara Jane Johnson), Ed Jones* (Lana Turner), Allison Petrillo (Ensemble), Chase Wheaton-Werle (Ensemble) and Robert Williams (Annie Johnson). Curtain Times: Thursday, Fridays and Saturday at 7:30 pm; Sundays at 3 pm. Please note: there will be an added performance on Monday, April 30 at 7:30 pm. Tickets: Previews $19. Regular run $29 in advance, $34 at the door. Group rates $25 for 10 or more. Tickets are currently on sale at www.handbagproductions.org (through Stage 773) or by calling (773) 327-5252. Stevie Love is a Handbag ensemble member. Creative credits include last year's production of Lady X (director/choreographer, HIAH), Northlight Theatre's production of Charm (choreographer), Caged Dames (choreographer, Jeff nomination). Performing credits include Miracle! (Helen) with HIAH (Jeff nomination); Kin Folk (Arethin) and Stanley in the Name of Love (Stanley) with The New Colony. Stevie has worked on stages on the East Coast, the Midwest and throughout the Caribbean aboard Disney Cruise Lines. He also works as a teaching artist for the professional teen performers of The Talent Machine Co. on the East Coast.